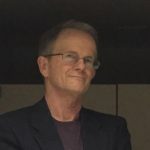 Robert Fettgather is an adjunct professor of Human Growth and Development at Mission College in Santa Clara, California and Co-Founder of the Coalition for Elder and Disabled Adult Rights (CEDAR). His current research interests focus on disability justice, guardianship and institutionalization. Guardianship of the Infantilized Elder: A Pipeline to the Institution Industrial Complex? The very body of vulnerable elders becomes a commodity in an institution industrial complex with an emphasis on profit making and social control.